Last night I visited the website of the Aam Aadmi Party (AAP) and for the first time in my life applied for membership to a political party. 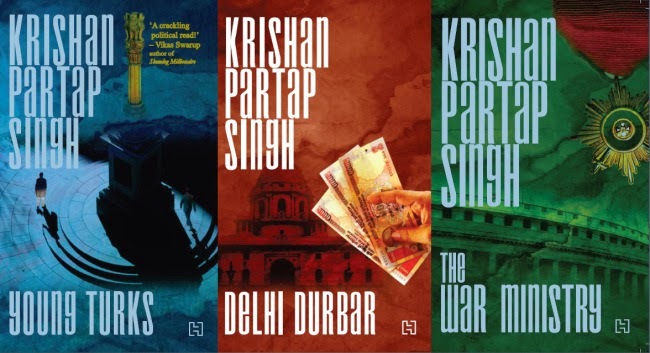 Considering I’ve spent the last decade totally consumed with observing, discussing, researching, and writing political novels about India’s incomparable democratic drama, it is not a step I took lightly. Every General Election is important but the upcoming one is likely to be especially so. No matter the result it will bring elemental change to India’s polity that will reset the battle lines for many an election to come. The current campaign is about more than individual personalities, it is about voter anger against the establishment of such ferocity that it could cause the complete recasting of the polity. The old rules no longer apply, political leaders will have to either adapt or depart. Since 2010 India’s polity has been in a downward spiral. An age of corruption and excess came to a grinding halt as scandal after scandal crossed our television screens every night without respite. The government got pummelled every day but continued to survive because a divided and complicit opposition abdicated its role. Thus the Indian people found themselves hostage to an unacceptable and interminable stalemate. Cynicism pervaded in every nook and cranny of the land, and so it remained during the intervening years. India’s two national parties must bear the brunt of the blame. On the surface the Congress and BJP may appear separated by the gulf of ideology, but in actual fact they mirror each other from across the political divide, they are in fact conjoined twins. If one party raises the 2002 riots in Gujarat, the other brings up the 1984 Delhi riots in response. If one speaks of the Gandhi family son-in-law’s alleged venality, the other threateningly whispers of Vajpayee’s foster son-in-law. If one follows the Sangh Parivar’s diktat without a word of protest, the other readily surrenders all autonomy at the feet of the Gandhi family. Both rail against the media when confronted by their own varied shortcomings, and they both go deaf and dumb at the mere mention of the name of India’s richest man. To choose between the BJP and the Congress is a false choice, India deserves better than the politics of division and opportunistic backroom deals. It is time for a third way. I now believe the Aam Aadmi Party could be on its way to becoming India’s third national party. Having written three novels on precisely this very subject, I have found it impossible to witness this exciting new development from a studious distance. Arvind Kejriwal may not look the part of a maverick, and like everybody else I too initially underestimated his determination, but the Delhi election campaign changed everything. He and his motley crew campaigned tirelessly to make believers out of us Dilliwallahs and long voter lines into the night were proof that something special was taking place. Voters love an underdog. Joining the AAP was the furthest from my mind till an unexpectedly electric moment in Arvind Kejriwal’s speech in the Delhi Assembly during the discussion of his government’s trust vote on January 2nd when he broadened the definition of who an Aam Aadmi was to include everyone who possessed a moral outlook of honesty and truth regardless of what their bank balance or background was. In one stroke he had made it possible for everyone to conceivably consider themselves within the rubric of Aam Aadmi, even the middle class. For the first time since Vajpayee left the public stage I found myself unconsciously nodding along as I listened to a political leader speak. The message was unambiguously inclusive, unifying and optimistic, my very favourite words. It was not just a Chief Minister delineating his governing agenda but also a leader with national ambitions for his party using the media spotlight to address the country. We got the message loud and clear. The first days of governance in Delhi have been tumultuous, but governance is never easy and the inexperienced ministers will take time to adjust to the shock of being catapulted into office. They over-promised in the campaign but moved quickly to meet the most high profile of the promises. Accusations of fiscal irresponsibility and populism are flying thick and fast but they have marginal electoral relevance. Issues of execution could arise but Kejriwal’s IRS experience is showing in the way he’s marshalled the bureaucracy so far to come up with crafty solutions to the water and electricity campaign pledges. I worry about the one-size-fits-all attitude of AAP leaders who see referenda or other forms of direct democracy as the instant solution to even the most intractable issues; an example being the recent furore on Kashmir which was an eminently avoidable misstep by Prashant Bhushan. Kejriwal must be prepared to make tough decisions which may be correct but yet unpopular. To govern effectively a leader must inform, persuade and show the way. Clearly I don’t agree with every last thing AAP has proposed, but nor is that necessary because I’m wholly on board with their core agenda of fighting corruption in all its forms, empowering the common man, and reining in crony capitalism with a more progressive path to economic growth. The legacy of the age of loot and incompetence during the hideously technocratic premiership of Sardar Manmohan Singh must be rolled back. I doubt Narendra Modi and his billionaire cheerleaders have any such house-cleaning in mind. With work on a national manifesto in its early stages there are swathes of policy areas about which AAP is only just initiating an internal debate to finalise its stand and those gaps will be filled in due course. It is a national party being born right in front of our eyes, Gandhian in its origin, sprouting forth in that quintessentially chaotic Indian manner, men and women, young and old, rich and poor, standing shoulder to shoulder, all proudly wearing their white topis, jharus held aloft, and there is untold promise in all that they can accomplish. As a result Indians everywhere have begun talking passionately and idealistically about participating in the political process again. Youth voters have been energised. Hope resides in India once more, the cynicism and rancour of recent years is finally dissipating because new leaders, new ideas, and new possibilities are breaking through the mist. Could it be a false dawn, you ask? Possibly. There are no sure things in life, all you can do is make your best judgment and then jump in with both feet. I could not resist the call of the Aam Aadmi. Can you? You have an Awesome English Ankit sir. Would love to have some grammar lessons from you. 1. "AAP will destroy all the nuclear weapons." Sorry they won't. 2. "AAP supports communal violence." Disfigured argument. AAP is NOT any community centric party. They are not hooligans. These are intellectual people who have taken the cause of cleaning the stinking political discourse of our nation. 3. "9/10 cases, you'll find similarities between INC and AAP" Mention the instances. The argument is unsupported with facts. This is news. I am happy that you joined AAP and utilized your basic setting where you can join politics. I would have liked to join but unfortunately, I cannot. Glad you skipped the fence :D All the best! Please let us know how you'll proceed further...whether your target will be back office or an actual election ticket. It's a good move to join AAP.I m in well wisher's list,seriously thinking to follow. Do what your heart says, the very fact you decided to join AAP or for matter any party is you care for country. Their antics of late were embarrassing, and they might be good as watchdog but the way they have acted when they came in power was too juvenile. Anyways, we wait for next novel from your end. Great post, i hope they will do good in upcoming Delhi assembly election 2015.